The design of the sample conditioning system is extremely important to ensure a clean regulated sample is provided to the analyzer. 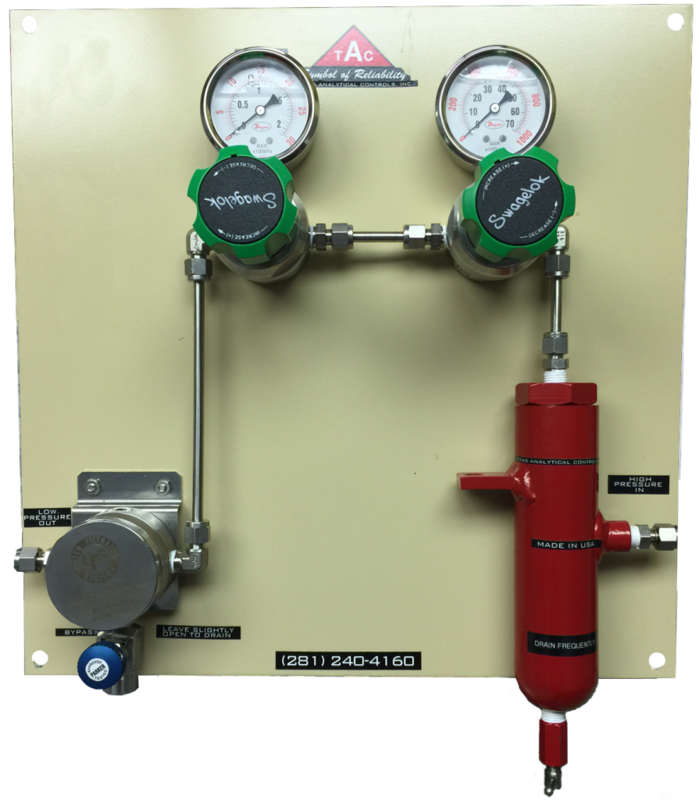 Depending on the sample gas composition, as well as the sample pressure, along with other factors, the conditioning system may have to be modified for each specific application. The sample conditioning system should be mounted below the analyzer (if possible). The typical system may consist of a drip pot, one or two regulators and a membrane filter. 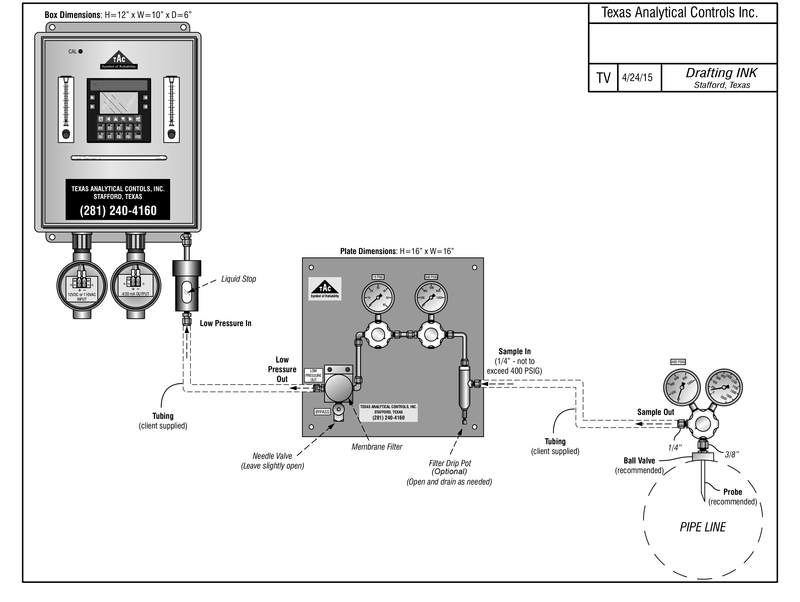 Depending on the sample an additional pressure regulator may be required at the sample tap. One to three pressure drops maybe be necessary to ensure the analyzer receives a sample free of liquids. 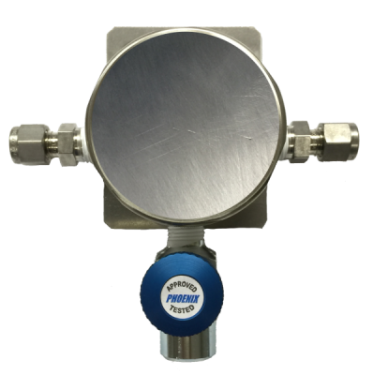 The Liquid Stop has a shut-off ball that floats while in the presence of the passing gas and instantly moves up in the presence of liquids to shut off the flow of slugs that would damage the analyzer. The Filter Drip Pot is designed to separate water from a gas sample. It allows an operator to purge excess water by opening the manual valve.